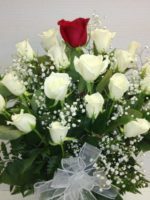 You know it’s magic when Love is in the Air! 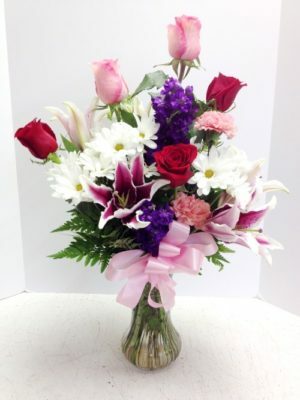 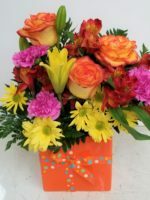 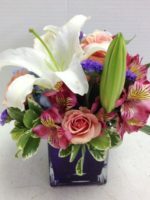 Beautiful custom designed floral arrangement of red and pink roses accented with flowers such as white daisies, stargazer lilies and purple stock. 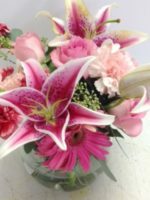 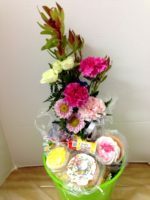 This is certain to show her how special she is for Mother’s Day, for her birthday, your wedding anniversary or because you’re in love! 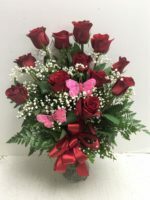 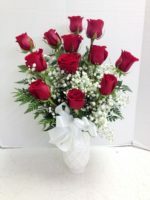 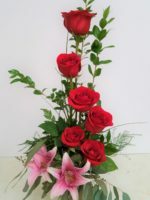 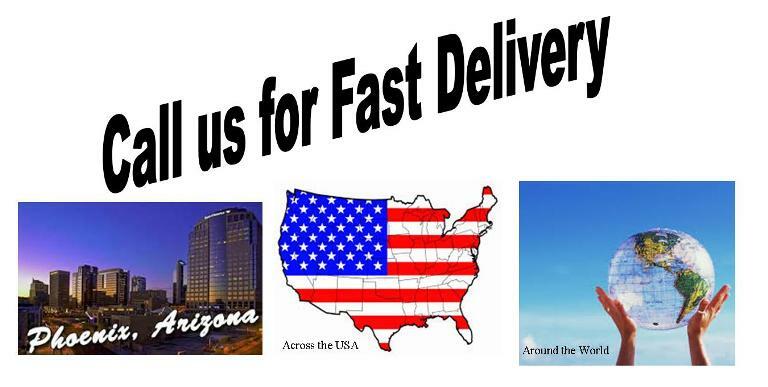 Our website has a lot of love flowers from which to choose, and you might want to see Think Pink or Red Roses with White Gerberas, a Dozen Long Stem Roses or our Pink Stunning Beauty.